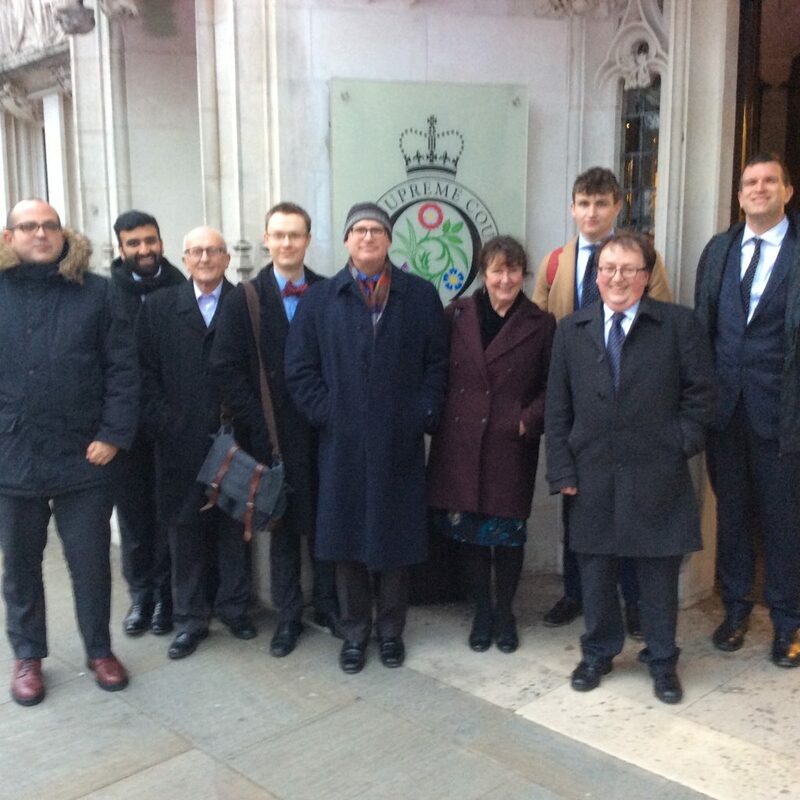 The legal team and supporters of Terryann Samuels at the Supreme Court : Alex Pearce (mini-pupil Garden Court North Chambers); Ranjit Bains (CLP); Des Smith; Alex Bellew (CLP); Mike McIlvaney (CLP); Rosaleen Kilbane (CLP); Hugh McIlvaney; James Stark (GCN); Tom Royston (GCN). The case of Terryann Samuels –v- Birmingham City Council came to the Supreme Court on Thursday 31st January 2019. The appellant was the tenant of a house at 18 Dagger Lane from November 2010 to July 2011, when her tenancy was terminated due to rent arrears. She was in receipts of benefits, including housing benefit, which did not cover her actual rent, but left her with a monthly shortfall. She made a homelessness application to the respondent housing authority but was judged to have become homeless intentionally, because her house was affordable. She appealed, claiming that the respondent had failed to follow the relevant guidance and had not given adequate reasons for the conclusion that there was sufficient flexibility in her income from benefits to fund the weekly shortfall in rent. A Circuit Judge has ruled that an order for possession made under Ground 8 Schedule 2 Housing Act 1988 be set aside because the notice sent to the tenant omitted certain words in reciting the statutory ground relied upon. Ground 8 is a ground for possession available to certain landlords when arrears of rent are seriously high (usually 2 months or more). Where this ground applies, the Court usually does not have the power to refuse to make the possession order (although there are numerous ways of defeating a Ground 8 claim). The Travellers Advice Team national advice line has changed its hours to 9 a.m. to 1 p.m. and 2 p.m to 5 p.m. Monday to Friday. For full details of the areas covered by TAT, please see our attached poster.